Look, no one wants to talk about it, and we can tell that it’s bringing you down, so we’re just gonna say it - getting older at Christmas is rough! You spend your whole childhood getting all the attention and presents…almost everything about Christmas is about filling you with laughter and joy, making visions of sugarplum visions dance in your head, and filing you with shock and awe on Christmas morning. That’s heady stuff! Jesus might be the reason for the season, but otherwise, it was a whole holiday that was basically built around us! And you liked it. We all liked it. It was the best. But then, all of a sudden, it’s like we hit maturity and suddenly everyone’s all, “Should we keep exchanging gifts? What if we just give presents to the kids?” And you’re all like, “HECK NO! I look forward to opening these presents all year! And now you just wanna take that away from me? !” It’s like…what happened? How did your one special holiday start going so wrong? What’s a guy to do to get a little bit of that Christmas magic back?! Easy: Become the real star of the show! 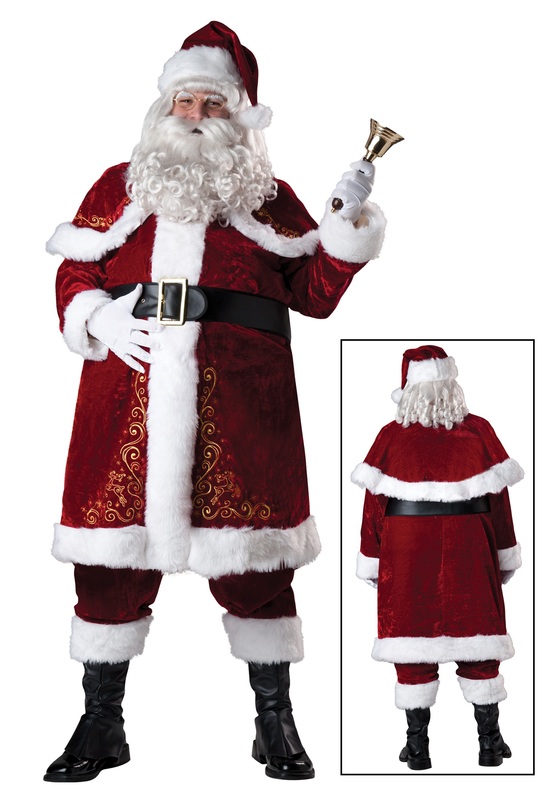 That’s right - get a lil’ bit of that sweet, sweet holiday spotlight by sliding right into this Plus Size Jolly Ole St. Nick Costume! With the luxurious velvet and faux fur costume. You’ll be hitching your sleigh right back into that coveted position of feeling like Christmas was made just for you!